The Development Officer does not have office hours this morning. Line Dancing ($3) or six classes for $15 takes place from 1:30 -3 p.m. 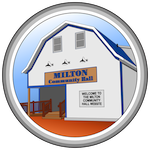 The North Milton WI meeting is at 7:00 p.m.with a guest speaker on foot care. Everyone welcome.